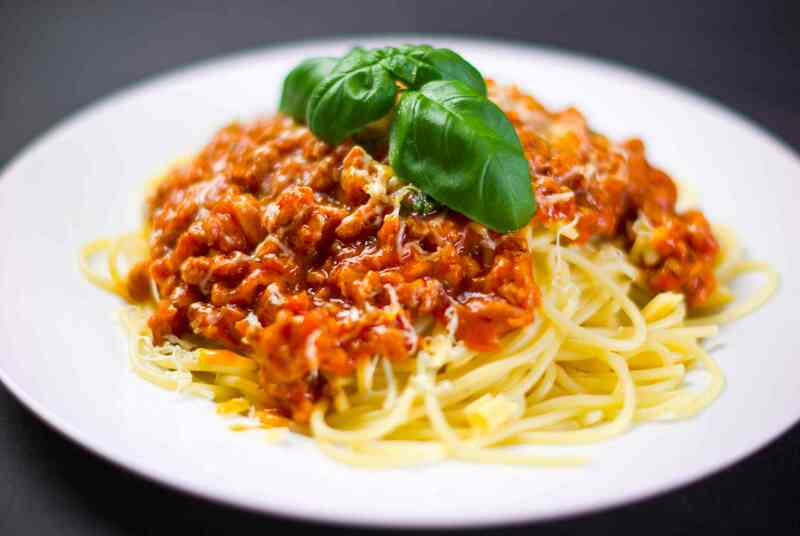 Rich tomato flavoured meat-free bolognaise sauce that can be used with any pasta or with lasagna. The lentils give it an authentic bolognaise texture, with added carrot and celery helping to boost up the nutrient count. Heat oil in large saucepan and brown the onion. In the meantime, cook pasta of your choice. Love it!! My niece has gone one step further than vego and is Vegan. Now I’ve got somewhere to tell the missus to have a look at..